If you played sports or ever hurt anything I’m sure you have heard the phrase, “throw some ice on it”. Why is that the case? It decreases/prevents swelling? Decreases pain? May help you recover faster? What if I told you this may not be the case at all? You would probably think I was crazy. Even I have told my athletes that this is the case. But my recent reading and research (because when you think you know it all, you know nothing at all) has caused a bit of a shift in my beliefs and treatment styles. I just recently completed Gary Reinl’s book ICED! The lllusionary Treatment Option and it really challenged a lot of my beliefs on ice. Now, when we put ice on an injury, whether it be acute or chronic, the first goal is to prevent or limit inflammation and swelling. Lets first talk about inflammation. Inflammation is a key component of how the body heals itself. It helps bring in the substances and materials needed to repair the injured area. The body has a magical way of healing itself, so why would we want to prevent or limit it?? Also, it has been shown that ice does not limit nor prevent swelling. Think back to an significant injury you may have had, mine happen to be ankle sprains (I have tissue paper for ankles). The firs thing you may have done was slap an ice bag on it or put it in a bucket of ice water. But what happened soon after taking the ice off the injury?? You still swelled correct? That is because the body is pretty stubborn and will still try to heal itself the way it was intended to do, through inflammation. The ice only delayed the inflammation process. So why delay the inevitable? Why not let the body do what it does best and repair itself? While reading ICED!, I was having an internal struggle with myself about this aspect. Everything I was taught in school was to ice acute injuries but looking back this was totally disregarding our body’s natural biology. Now for all the good that inflammation causes, swelling is the enemy of returning back from injury. It is the waste and byproduct of the healing process that must be removed to allow for healthy movement and function. For years medical professionals, and myself included, as well as the lay person (coaches and parents) have recommended to ice a swollen area. The thought as been that it constricts the areas that are swollen causing an evacuation of the swelling. This may be the exact opposite. Ice may be causing a back flow of swelling from the lymphatic drainage system(or the path in which the swelling is removed) therefore causing even more swelling. Also, think about what ice or cold does to liquid. The analogy that best describes this is toothpaste. Cold toothpaste becomes hard and difficult to squeeze out of the tube. Think of swelling in the same light, the ice we use may actually make it more difficult to remove the swelling. Also, think back to when you last iced an injury, did it feel stiff or did the athlete report it feeling stiff after the icing? This may be due to the ice causing an increase in viscosity of the fluid. So how does one remove the swelling?? The lymphatic drainage system is a passive system, therefore it needs help to remove the excess swelling. This is where compression comes into play. There are two ways to create compression on the lymphatic system. Either through compression units (Normatec) or activation and contraction of the surrounding muscle tissue. Gary Reinl describes this as reverse milking of a cow. The muscles will help push the swelling back towards the midpoint of the body. The best way to remove this swelling is through contraction of the muscles around the injured area, for example the muscles that control the toes and foot with an ankle injury. The idea of an active pump may also shine some light into better recovery methods after tough workouts. Ice baths have been the dreaded tool of coaches and sports medicine professionals to help with post workout recovery. The thought behind it is you may be flushing the waste products in the muscle that can lead to muscle soreness and fatigue. We all know this can hinder our workouts and cause a decrease in performance. Ice bathes were said to decrease the metabolic activity there for leading to less waste that the body must remove. Ice baths have since been shown by the NSCA to actually delay recovery from muscle damage caused by exercise. In fact, creatine kinase MB levels were significantly increased in people who used topical cooling compared to people who did not ice. Creatine kinase is a blood marker used to determine how much breakdown of muscle tissue is occurring. So what is the best method for recovery?? MOVEMENT! I am a huge believer of active warm downs after workouts, as well as the next day. For delayed onset muscle soreness a light workout of the affected tissues is actually much more effective. So next time you are sore, try doing some body weight movements to help “flush” the trash that is left over in the muscle. 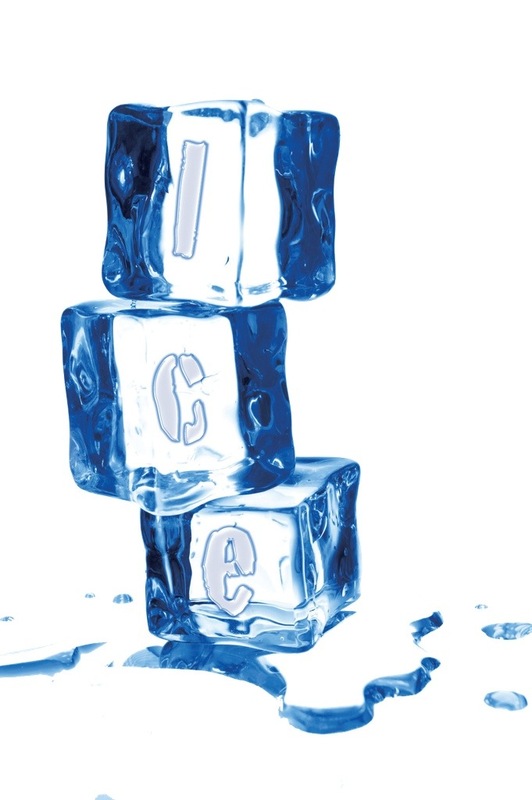 Has anybody else begun to move away from the use of ice in their treatments? Good or bad results? This is all pretty new for me and I am interested to see how it works in the long run. ← Is it effective to find a 1 rep max on adolescent athletes? Mitch, great discussion!! I completely believe ice is overused in many cases and an escape treatment by AT’s for too many injuries or pains an athlete might be having! Your discussion focused on acute injuries so I will too! ( However even throughout a season when an athlete has recurring injuries or slight pains during or after practice I hate an AT saying ‘just ice it’). .In Europe, even during a game, a player may go down and a ‘Physio’ will run out with their ice cooler or ice spray! I think there is also a lot to be said for an athletes mentality too. Many players have been repeatedly told that ice will help and this becomes the first thing and sometimes the only thing they do for an injury. Furthermore they are so guarded of an injury they are hesitant and will not ‘actively pump’ or use the muscles surrounding that area. (Not speaking about the ankle but more knee and hip joints). Ply laying two games per week and practices in between I have found our team had benefited and recovered faster from recovery type practices the day after a game or just getting back to our city from a flight! None of our guys ice bath and I’ve seen good results to jogging, muscle activation, and range in motion type exercises couples with more movent based stretching! I would be interested in reading the book you mentioned and also your thoughts on static stretching for recovery. Also, what are you referring to and can you describe more ‘active warm down’; what elements of that do you find important!?!?! I probably could’ve written a novel on this topic but with chronic issues I vary rarely recommend ice b/c it really has no effect in the long term. The pain is really just secondary to another issue somewhere else (hip weakness and patellar tendon pain. I think recovery sessions would definitely be effective for you considering your schedule. In terms of warm down, doing low level exercises to help sort of slowly “cool” the body down and help with some of the “flushing”. It would be similar to your recovery practices or a shake out. I’m not a huge fan of static stretching for recovery. I’d probably do more dynamic movements for recovery.